With a bewildering array of models, ever-increasing as Mercedes-Benz creates niches and fills them, the GLA possibly needs a little explanation. When the A-Class changed from a tall mono-box economy car to a Golf challenger, Mercedes-Benz saw the opportunity to create a new wave of taller models. Enter the GLA. It shares mechanical layout and components with the A-Class, but in a beefier, more macho style body. The seating position is higher, as is the ground clearance. The car we drove, in Europe was the 220d, with the larger diesel engine offered. 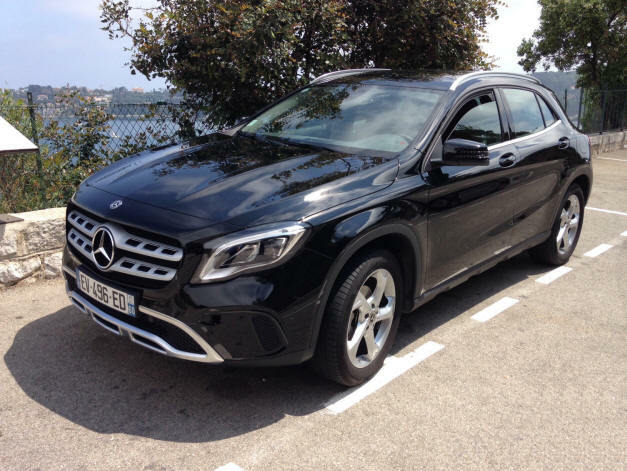 In Australia, three engines are offered: starting with the GLA 180 which has a 1.6-litre petrol engine - from $43,900; to the GLA 220d with its 2.1-litre diesel at $51,200; to the GLA 250 with a 2-litre petrol motor, starting at $60,700. All come with a 7-speed automatic transmission, with paddle-shifts that nobody will use... Those familiar with Mercedes-Benz terminology will have worked out that all-wheel drive 4matic system is available, on the 220 and 250 versions. Then there's the slightly ridiculous Mercedes-AMG GLA 45 4matic, with 280kW and a 0-100 time of 4.4 seconds. It's priced accordingly. Inside, the dashboard design is easy to use and understand, though there's no apparent button for the electronic handbrake... The floating iPad style screen shows an excellent rear view via the camera. That said, the view out the back, should you be able to turn your head, is far better than many modern SUVs. The sat nav system worked well throughout our over 2500km journey in France, Monaco and Italy with the GLA. Even on one 800km driving day, the seats remained comfortable and decently supportive. No complaints there. The split-zone climate control system worked well, though the controls are set rather low, a long way from line of sight to aim a finger at a little button. There's smartphone integration and Apple CarPlay, plus MB has loaded the GLA with all the expected safety devices and warning systems, which I don't need to list. Rear seat up, the boot can fit only one suitcase and one small case. There's a decent sized hidey hole below the floor over the space-saver spare wheel. 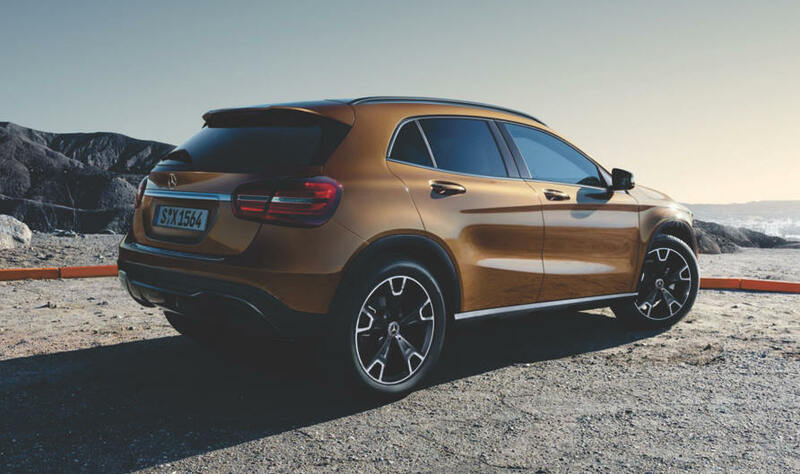 While it looks big, remember the GLA is still an A-Class, so a small boot isn't surprising. the stop start system is easy to live with but as on any car fitted with the system, means the occasional delay in get away. The car driven was also reluctant to select reverse quite often. Remember Mercedes uses the stalk gear selector with RPD positions only. Twenty different wheel choices range from 17 to 20-inch diameter, but the 18s on the test car still gave sufficient sidewall for the rims to feel reassuringly safe from kerbs. Which is too often a problem with big diameter wheels. Overall it was a satisfying, easy car to drive. It's priced quite reasonably too. Very little to criticise - which is quite an achievement in itself, and Mercedes deserves a pat on the back for this hard to categorise car.